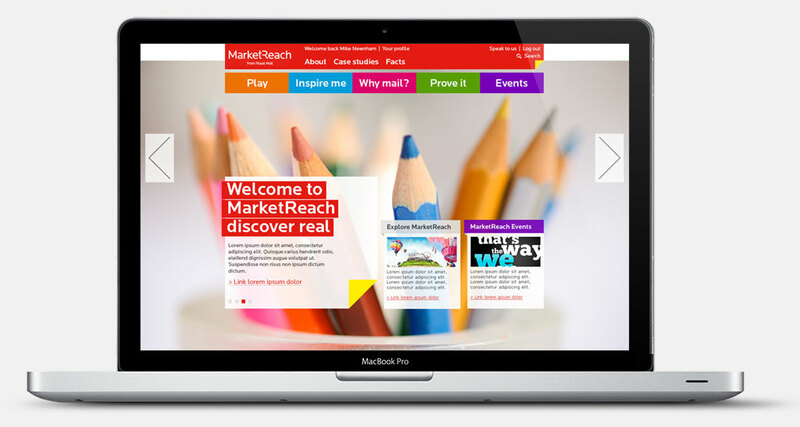 Market Reach Launch: Market Reach provide a service to businesses advising on the benefits of sending Direct Mail communications. 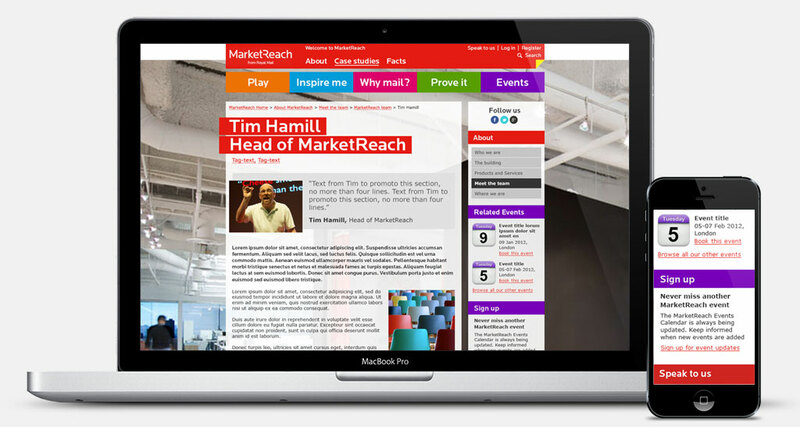 This website was designed as a place to house information about Direct Mail, case studies, industry events and information for marketing professionals to find the best place for Direct Mail in their business. 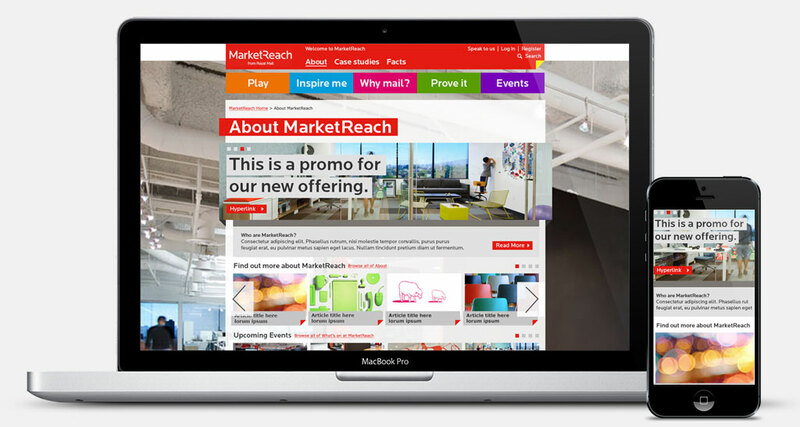 It coincided with the launch of the brand; with other assets and collateral taking design cues from the website styling. My involvement: I worked with an Information Architect as the Lead Designer on this project. I was involved from the initial ideas and wireframing through to launch and delivery. I designed a responsive site that was constructed of modules that worked across multiple devices.